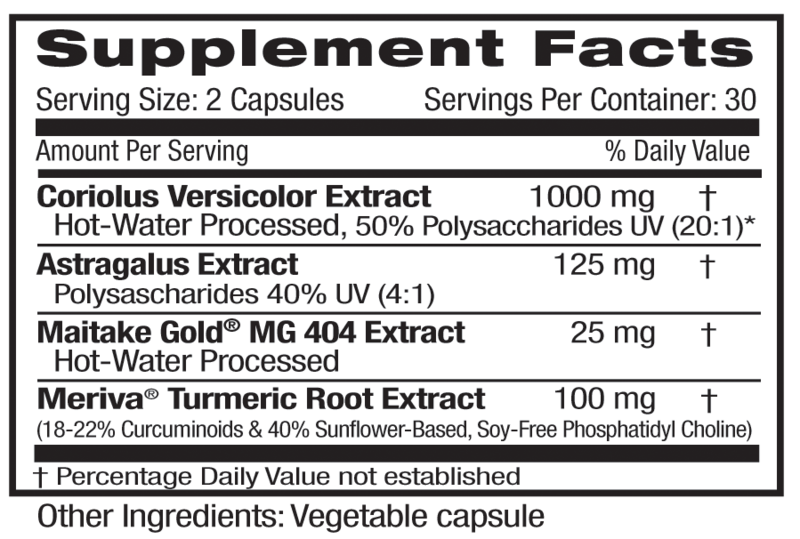 Superior forms of Coriolus Versicolor, Maitake Gold® MG 404 Mushroom Extracts (each HOT WATER processed at 90-100 degrees to release their actives), Astragalus Extract & Meriva® Turmeric Root Extract (29 times more bioavailable than standard turmeric) to help. 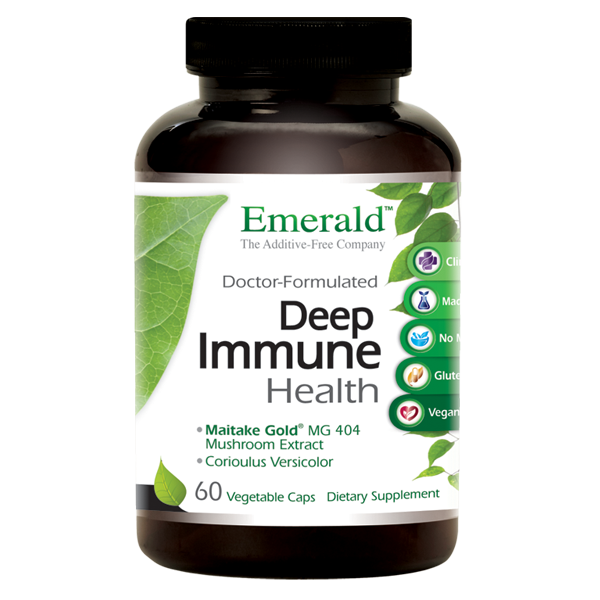 No Magnesium Stearate, Fillers, Chemicals or Irradiated Ingredients. Laboratory Tested for Purity & Quality.